I, Paradox, have the pleasure of sharing a spoiler with you today. However, after much contemplation, I’ve realized this card would go best with a little dose of our own real world and less so the world of Myria. So settle in, if you wish, for a story. A few years ago, I was finishing my junior year in college. I was studying philosophy, and like most people who volunteered to read dry books for all hours of the day, I was trying to get into grad school. However, my junior year was fraught with difficulty, and I found myself procrastinating my work a lot. And then when the day before the final was due came, I had made almost no progress on my final paper. Before long, I was starting to panic a little. Though I wasn’t the fastest working student, I was a good student. Yet, I had never let myself get that far behind: it was the real-life equivalent of missing your third power-drop four turns in a row. As the day went by, the anxiety slowly crept in. I didn’t have a thesis I was happy with, I was completely worn out from my previous finals, and I was beginning to get a pretty big headache. As the night came, I cranked out my paper as best as I could, unhappy with the argument I was trying to defend. Around midnight, the headache became pretty unbearable. I hadn’t taken an aspirin in many years, but I realized this was the time: I needed to get this paper done. I downed the Tylenol and, despite every part of me wanting to just lie down, I got back to work. Things couldn’t get much worse than this. And then I broke out in a rash and had trouble breathing. You know how you always hear about those people who randomly become allergic to things later in life? Well, that’s exactly what happened to me with acetaminophen after not having it for 10-15 years. The paramedics came not long after that. The good news is that after a very long, somewhat scary night, I came out alive. The paper wasn’t finished, but my professor was very understanding, and I got it done over the next few days. I laugh about the whole experience now and how ridiculous it was, but at the time it was probably two of the worst things that could happen to me. Enter today’s spoiler, Horrifying Helm. You see, my life at that moment was a lot like Horrifying Helm. It was two of the worst things happening at the same time—Worn Shield and Scare. And, like in life, combining them makes things worse! Scare is a 2 cost fast spell, and you have to pay 3 just to use it at slow speed! You definitely won’t want to play this in constructed as there are a lot better things to do at both 1 and 4 power. In limited, you might be able to get by with it. Assuming you put it on a unit with equal attack and health, it effectively gives the unit +3/+0 for 4 power. 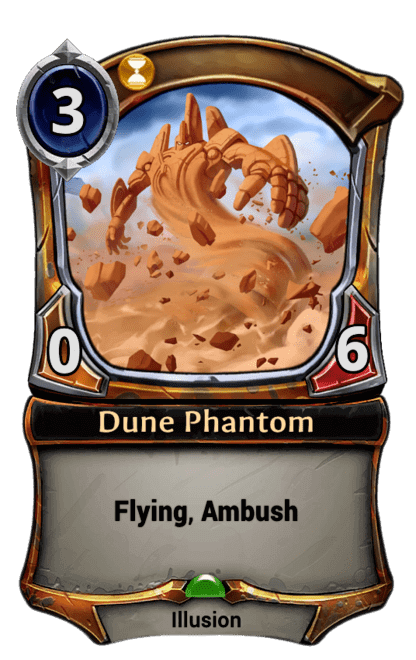 There is also a little versatility with it, as you could use it to scare your opponent’s units—maybe live the dream and kill a Dune Phantom. In general, though, you’d rather not have Horrifying Helm in your deck. At that time, I really wished my life wasn’t like a Horrifying Helm. The experience did do one thing for me though: It reminded me just how bad things can get—a benchmark, if you will, for terrible experiences. When I think of it, it reminds me that things usually aren’t so bad, and helps me appreciate the moment I’m in, no matter how frustrated I am over things. 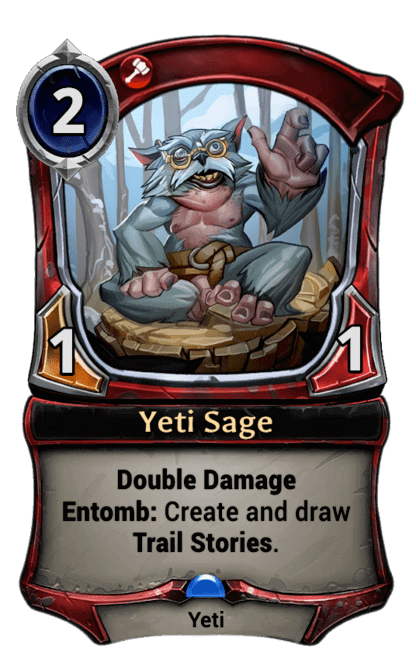 Horrifying Helm is like that, too: not every card can be a multi-format all-star. 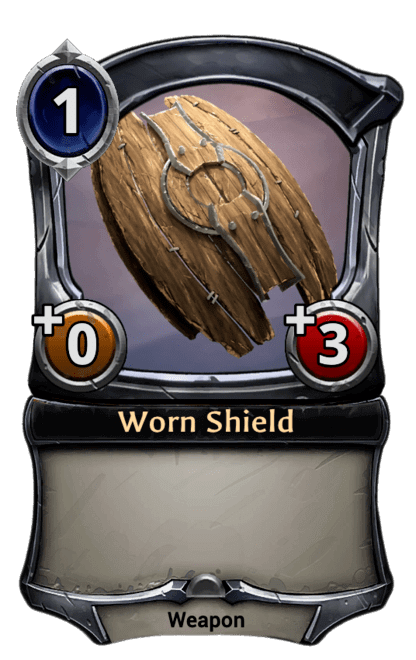 We need weaker cards like Horrifying Helm to show us what good cards are and how to be better players. Thank you for reading. I hope your life isn’t a Horrifying Helm right now. If it is, just remember that this, too, shall pass—like that horrible event did for me, and like Horrifying Helm will in draft.